With just over 100 nautical miles remaining for the leaders, Race 12: The Legenderry Finale is playing out for the podium and certainly living up to its name as a tense battle, which could finish today. 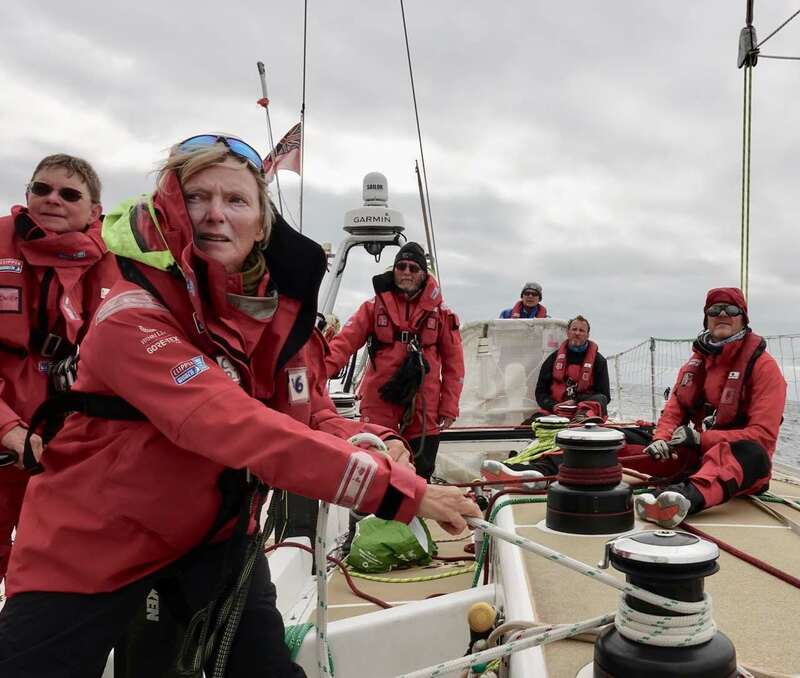 Visit Seattle, leading the fleet for the third consecutive day, is aiming for its third race win, but with a dreaded wind hole ahead, and Unicef and Garmin hot on its heels, just 15 and 30nm behind respectively, Skipper Nikki Henderson is not starting any early celebrations. Spirits are high on board Unicef, which is playing its Joker Card on this race and is set to pick up the biggest points haul of the fleet. Skipper Bob, hoping this will be his last blog of the race, explains: “The pace has been good despite the forecast and we have managed to stay ahead of the ridge of high pressure for much longer than we expected, but soon we will be slowing as the wind eases back and veers (moves clockwise). The leaders may have opened up quite a gap on the rest of the fleet, with some 70nm separating third placed Garmin and Qingdao, fourth, but there is still plenty to play for amidst the rest of the fleet in this final ocean crossing and penultimate race of the Clipper 2017-18 Race series. Nasdaq is just one mile behind Sanya Serenity Coast, in seventh, meaning another close battle to the finish is playing out. Skipper Rob Graham is feeling motivated, saying: “Now that we're back into satellite coverage, we can see just how far ahead the southern group of boats got over the couple of days. Well done to Visit Seattle, Unicef, Garmin and Qingdao (morning all!) for staying ahead of the weather front - Nasdaq just didn't make it, so we lost miles whilst slowly getting nowhere. Sanya Serenity Coast, which leads the overall race standings, has struggled in this race compared to its usually strong form, however Skipper Wendy Tuck is trying everything to gain ground on her competition, and keep those behind her at bay, saying: “Hard to believe that this last ocean crossing is nearly done, still even harder to believe now is that we are having problems with boat speed. I changed to my lucky crocs and even my lucky sunnies and that didn’t seem to help, still scratching my head over it. Skipper Lance Shepherd says: “When we left St Johns in Newfoundland we were over 500 miles behind the fleet and our race was technically over. Had we gone south west to the position we stopped racing then we would have been about 800 miles and at least five days behind the fleet. Stay glued to the Race Viewer today to see how these final miles play out for the fleet and see if the dreaded wind hole causes any shake ups. You can find the latest ETAs for the Clipper Race fleet’s arrival into Derry-Londonderry here. Whatever the final results of Race 12, there will be plenty of celebrations to be had in Derry-Londonderry. As well as the usual famous Irish warm welcome, the award-winning Foyle Maritime Festival will run from Saturday 14 July until the fleet departs for Liverpool on Sunday 22 July. For more information about the festival, see the Derry-Londonderry Stopover page.